The 21st century railway faces significant economic, environmental and engineering challenges. The industry has to move quickly and decisively to meet these challenges and turn good, innovative ideas into positive business benefits that will ultimately lead to a better railway and boost exports for UK suppliers. Mike Dempsey, Managing Director of Claytex presented on the topic of ‘A view from Automotive and Aerospace‘. Claytex presented an overview of the many faces of Model Based Systems-Engineering that together create an infrastructure for low-risk multidisciplinary development, while delivering unprecedented levels of transparency, traceability, repeatability and insight throughout organisations where no one engineer can know the whole plan, or understand every subsystem. 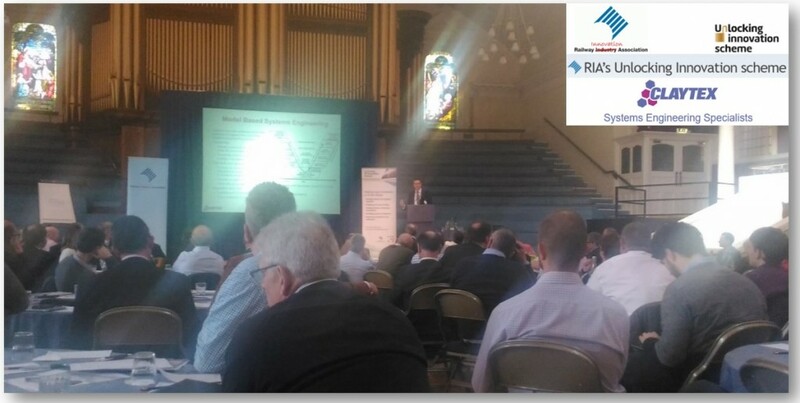 In the hopes of bringing the paradigm of integrated technical programme management to UK rail, the presentation appealed to the findings of the Bowe & McNulty reports which have underlined the criticality of state-of-the-art modelling & management tools, in preventing cost overruns & unacceptable risks in large-scale public infrastructure projects.